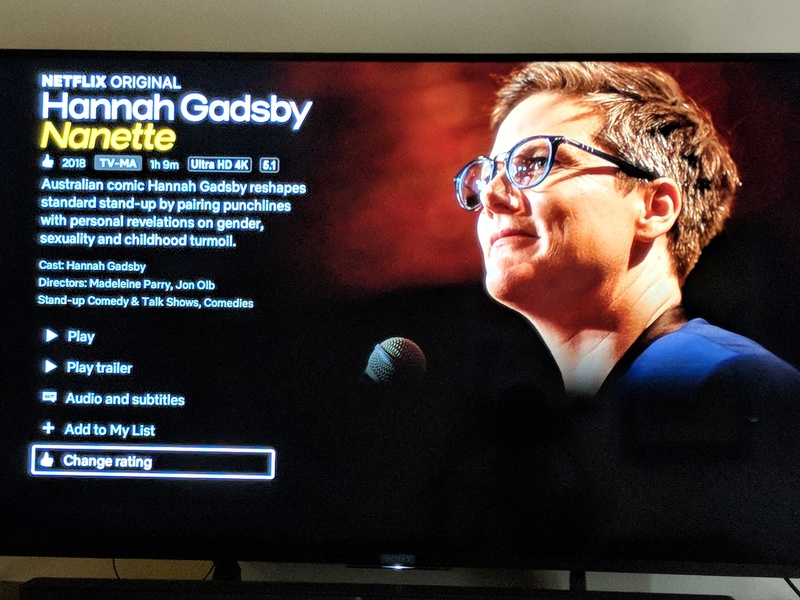 I read a lot of blurbs and tweets talking about how ground-breaking Hannah Gadsby’s Netflix Special “Nanette” is. Eventually, I found my way to it, leap frogging ahead of the back of other items because I desparately needed to laugh. You will laugh during this, but you will also feel empowered. Gadsby’s control of her tension and story-telling is masterful. This special has been touted as the stand-up for the #MeToo era. If that means would you put it in a time capsule about the early #MeToo Movement for future generations to refer to? Yes. It encapsulates so much of the rage, anger, disbelief, and hope of the movement. Not a long blog post. See “Nanette” if you are a fan of story-telling, art history, want to feel empowered, want to see what strength and resilience look like. Hannah Gadsby’s story is important.